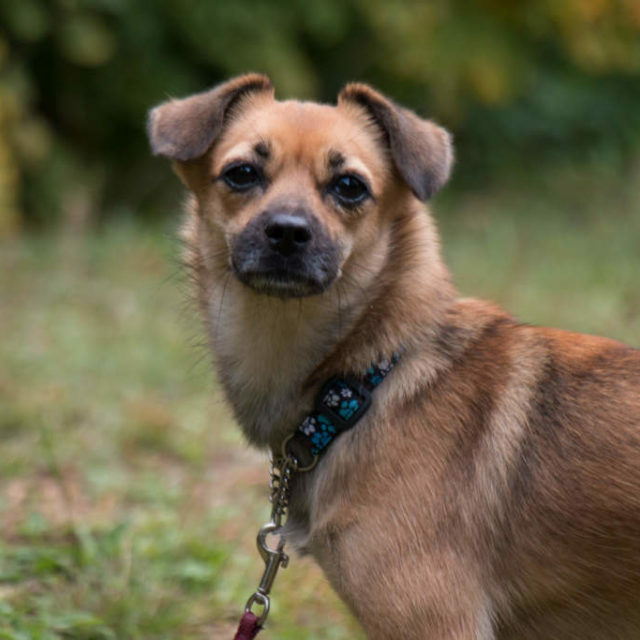 This sweet, shy little girl has made it all the way from China to find her new home in Ontario. Loosely translated, Xiao Xin means careful one, or to take care. This little sweetheart certainly matches her name. Shy at first, she warms up quickly and enjoys the company of other dogs, and yes, even cats!! She is a little girl, approximately 1 year of age, looking for her forever home in a new land. If you think this little sweetie would be a good match for you, please complete the adoption application. Once the application has been received and reviewed we will be in touch to set up a meet and greet with our careful girl. Xiao Xin’s adoption fee is $500. and includes spay, up to date vaccinations and microchip.